If you’ve decided to run for elected office, or if you’re considering it, and are very serious about winning, there are five things you should do before anything else. If you don’t do them then there’s a very good chance you won’t be victorious on Election Night. Political campaigns can be very rough, not only on you but also on your family. That’s why it is essential that if you are married that your spouse is 100% behind you and committed to the race. When you have a bad day on the campaign trail, you’ll need your spouse’s support and encouragement to keep going. If you don’t have it, you’ll probably be quite miserable not only as you campaign but also on the home front. In fact, if your spouse isn’t supporting your political ambition it’s probably best if you don’t run at all. A political campaign is an unruly monster that eats up time. Every day that goes by is a day closer to Election Day. How you use your time will often determine whether you win or lose. To give yourself the best chance of winning, you should set aside as much time as possible to be out there campaigning. During the week you need to schedule time for fundraising, knocking on doors, making phone calls, and meeting with people – even if you have a full time job. Your weekends belong completely to your campaign. Saturdays and Sundays should be almost exclusively set aside for you to canvass precincts and work the phones to talk to voters and persuade them to support you. Knowing all this, you should clear your schedule as much as possible during your waking hours of anything but campaigning. It will probably be impossible to do, but the more things you push to the side during your campaign, the more hours you’ll have to convince people that you are the right person to vote for. Many candidates running for local office think that they or their spouse or a good friend can serve as their campaign treasurer. Campaign finance laws, rules, and regulations tend to be complex. They also vary from state to state and from jurisdiction to jurisdiction. If you mess up with your campaign funds, even by accident, you could be fined and sometimes even prosecuted for a crime. Hire a professional who knows what they are doing to serve as your campaign treasurer. Yes, it’ll cost you a few bucks but in the long run it may save you more money and will give you a greater peace of mind. Money is the fuel that makes the engine of a political campaign go. Without money to spend on mailers, signs, and other advertisements you’re not going to get your message out to the voters. Candidates who don’t get their message out to the voters lose. You need to raise money so you can reach the voters and win. That’s why you should hire a professional fundraiser who knows the donors in your area and for a fee can help you collect contributions. It’s normal for a political fundraiser to charge candidates a 10% to 15% commission on the total amount of money they raise. Find a good fundraiser as soon as you can and get them under exclusive contract. Then sit down with your fundraiser as fast as possible to raise you the amount of money you need to be able to be competitive and win your race. Your campaign needs a website. It will be your political home base for all of your online and digital activities. You want a domain that is easy for voters to remember, find, and scores highly in Google’s search result. That’s why you should always buy a domain with your name in it for your website. And you should buy your domain name as soon as you know you’re running for office. You don’t have to put up a website right now, you just need to purchase and park the domain for the time being. Because one of your opponents or maybe even just someone who does not like you may buy your name as a domain and park it so you can’t use it. Or worse, they may even put up a website that attacks you or directs voters somewhere else. Remember when Donald Trump did that to Jeb Bush in 2015? If you’re running for office and have not already secured your domain name, head over to GoDaddy.com to get that done right now. Being prepared and organized will go a long way in helping you win your campaign. 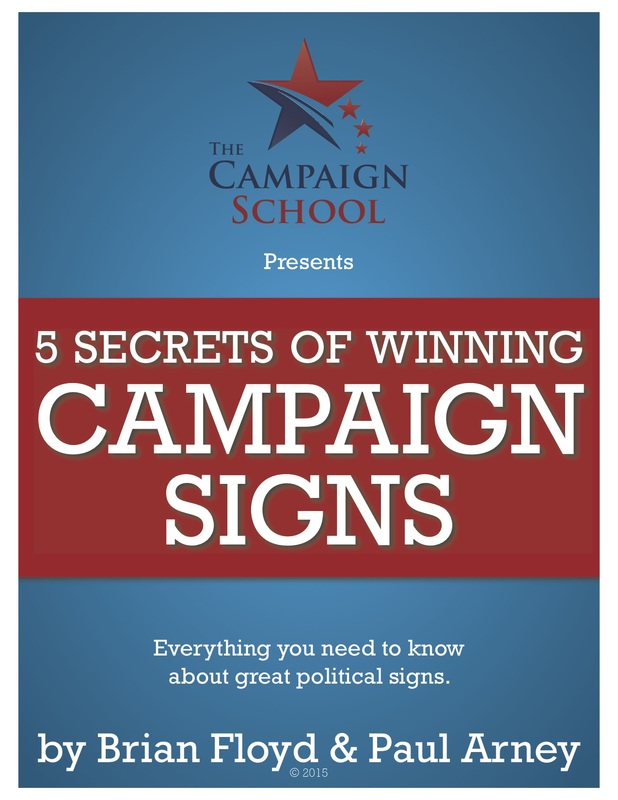 If you do these five things as you begin your campaign efforts, you’ll have a foot up on your competition before the first sign shows up in a neighbors yard.